Having worked as a sales representative for several tech start-ups, I can’t even begin to illustrate the importance of sending email sequences that sell. Automated emails are great because they drastically reduce the workload for a sales rep, however these days, everyone can empathise with finding a range of email sequences lurking in their inbox everyday that just pester us because we have to click 2 buttons to get rid of them! Not nearly enough business owners invest the time and effort in building useful email sequences that effectively sell their product. Putting together useful email sequences is both a science and an art, and if done well, can lead to magnificent results. Having hundreds of potential customers on an email list isn’t going to produce any income if you can’t sell your product. 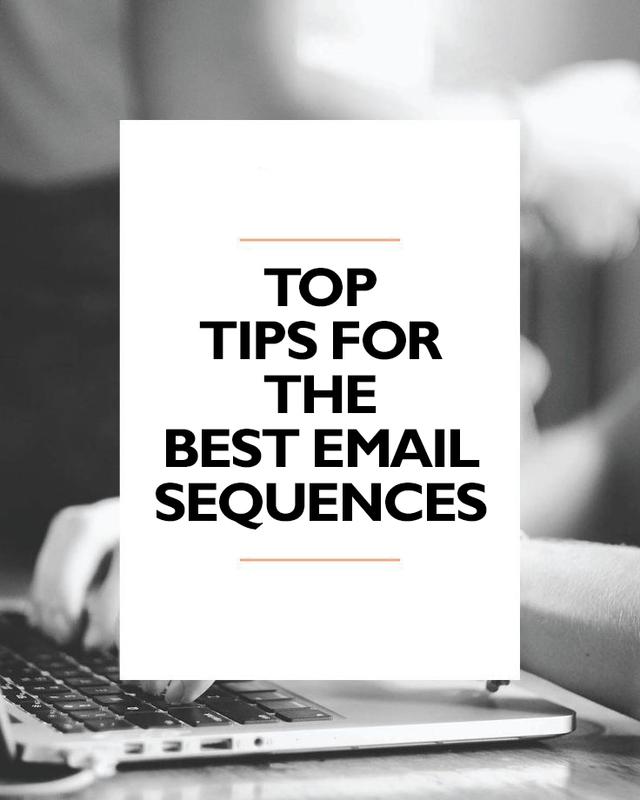 So, here’s four tips on how to produce a great email sequence that will convert your leads into sales. The secret to effective subject lines is solving your prospects problems in as few words as possible. As an example, high-quality subject lines include, “Common questions about job interviews”, “Common questions about rental payments”, etc. Think of your prospects problems and target your subject lines to solve that problem succinctly. You can keep an eye on your subject line performance using HubSpot Sales notification stream (https://www.hubspot.com/products/sales/email-tracking). Once a recipient has opened an email, it’s integral that you provide a value proposition in the context of their problem right away. Forget starting the email with your name and job role; you have to give your recipients a good reason to continue reading the email. Hence, begin your email with some info they can connect with, like company news or their opinion to an event via Twitter or an online article, then get into the value proposition in the 2nd & 3rd sentences. I have an idea about [problem/pain-point] and I’d love to have a minute to talk to you about [resolution]. I recently collaborated with another business with [positive benefit]. Is this something that would be valuable for [company name]? It’s vital that you get to the point immediately and keep the content targeted to the needs of your prospect. If a prospect has shown interest in your services or products, why waste both of your time with a welcome email that has no value or offerings? It’s fundamentally dead-wood and if you’re going to send a welcome email, make sure that you utilise a catchy subject line and value proposition in the content of the email (refer to tip 1 & 2). The fact of the matter is that even a terrific first email may not get a reaction from the recipient. It’s understandable; people are busy and have prerogatives, so I recommend sending two or three follow-up emails as part of your email sequence. It’s easy to forget about an email that you’re interested in, but a fantastic follow-up email will remind them that you’re here to help them in whatever problem they have. You should make sure that your follow-up emails also include your value propositions, and additional information that is important to the recipient in solving their problems. Again, HubSpot Sales will track which emails are opened and which links are clicked so I strongly suggest using this application to aid you with your email sequences. The value of developing effective and actionable email sequences can have a powerful affect on your conversion rates and sales. There are many variables that you need to consider when producing your email sequences, but this article showcases the most important factors that lead to success. If you’re having problems converting your leads into sales with your email sequences, it’s certainly worthwhile in consulting with digital marketing professionals that can help you. Speak with the team at Internet Marketing Experts Bunbury today on 1300 595 013 or visit their website: http://www.internetmarketingexpertsbunbury.com.au. 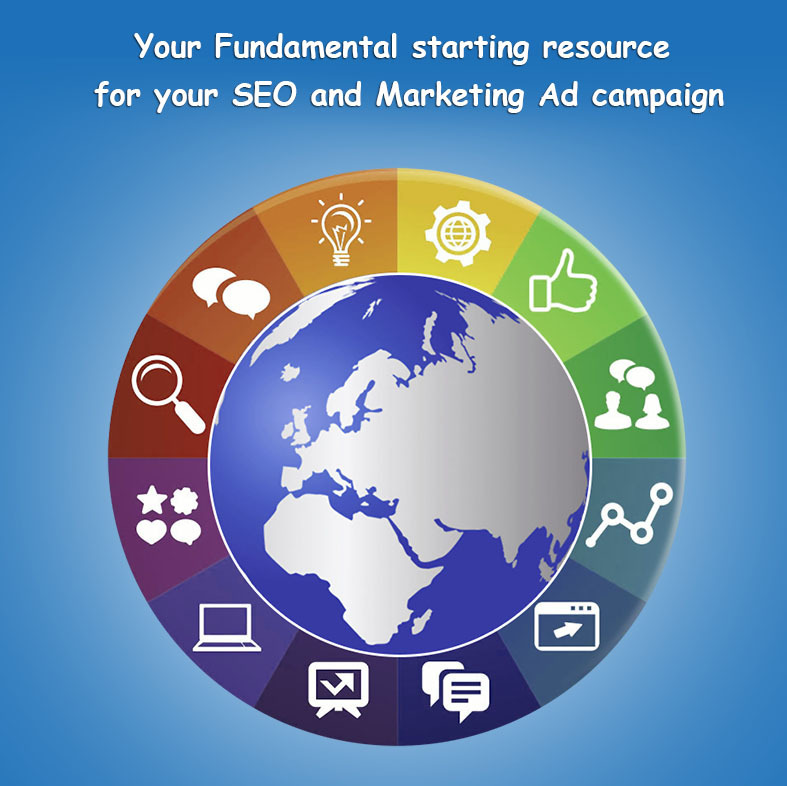 Digital Advertising Bunbury — Your Fundamental starting place for your SEO and Marketing Project. Digital Advertising in Bunbury is so vital despite whether you are a small business or a large company. And if you have tried your hand at SEO and Marketing, or perhaps if you have no idea where to start then this is a fantastic place to begin. Over the past ten years I have devoted a ridiculous amount of resources and time finding out the ideal way to have my websites creating income. If I had not had these bad experiences I don’t think I would ever been forced into learning this material for myself. So keep in mind, and listen to a few of the lessons I have learnt so you can get the very best start possible, especially if you are a small business owner in Bunbury, or if you are just starting with Digital Advertising. 1.) The biggest thing that I wish to make clear is that your SEO Campaign will take time and you can not be hesitant. I don’t want you to be gambling away your life saving on some passing craze, but rather I want to try and make you aware that you can’t succeed without devotion. When you have your first advertising campaign. Don’t invest $2 and make a fuss that it didn’t get the job done. You must make a commitment. You also can’t just conduct your campaign for a day. It takes at the very least a week in order to get a proper appreciation for an ad’s success. 2.) When you are writing content, don’t just reproduce everyone else, your Digital Advertising are going to be far better if you be unique and look to what is missing from your industry. The best thing you can possibly do is to fill up the gaps in our niche business. This means that if everyone seems to be moving to blogs, generate infographics. Think outside the box, acquire video software and produce something unique. 3.) Look to producing a calendar to keep track of your content. This will help you not only remember what sort of posts or content you have made, but is crucial for planning ahead. One of my favourite ways to increase engagement is to look back over past months or years of content and improve blogs, or rediscuss ideas, and don’t simply just use this for your Digital Advertising or content creation, think outside the box, get organised and start to see what is being successful, and what still needs improvement. 4.) Some resources that I would strongly recommend that you explore include some fantastic research tools as Google Adwords’ Keyword Planner tool and ubbersuggest if you want something unique. If you wish to produce graphics, www.canva.com is wonderful, straightforward and user-friendly for all your graphics needs, it is click and drop with ample pre-sets. When creating infographics, check out https://infogr.am/ it is a fast way to develop a visual representation of data or information without needing to hire a designer or resort to using Microsoft Excel pie charts. And one resource for an overlooked area is https://followup.cc/ it is a Gmail plugin which will aid you through scheduling and planning because it lets your take note of customers and contacts that you have to follow up with. It gives you email reminders and lets you keep track of people so that you can enhance your efficiency and guarantee a more professional reputation to your contacts. 5.) Essentially when it relates to assessing the success of your Digital Advertising, it can possibly be rather challenging to see how your business is going compared with your competition in Bunbury or even all around the country. But the ideal way to get a real impression is to not fall into the trap of looking only at the general ‘reach’ of your content, but rather its ‘consumption. This means how many times it has been downloaded, clicked on, commented on, viewed, shared, and ultimately how much revenue it could be said to have generated. You must look at all this data, and see what the real impact has been because while there may be thousands or millions of consumers looking at your content as a Bunbury company, if no one engages with it, then it is a wasted effort. As the CEO of Internet Marketing Experts Bunbury I have seen some of the best, and most unfortunate attempts at Digital Advertising therefore we don’t waste any time or your effort in generating real results for SEO campaigns. To find out more contact us on 1300 595 013 or visit, www.internetmarketingexpertsBunbury.com.au. Digital Advertising is all about appreciating the rules, and the ways that you can really be successful and get to the desired top place in Google. 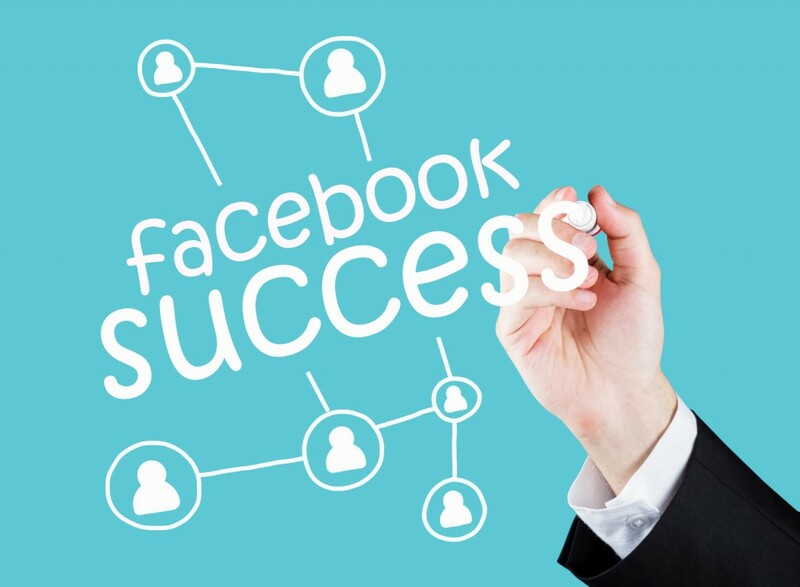 And it is no different with respect to Facebook– there are certainly some vital areas that you have to hone in on to make certain you are succeeding. Facebook for your business means virtually nothing if you cannot use it to build your company and your brand. You need to convert ‘likes’ into email subscribers and those subscribers into paying customers. It all mixes to add extra paths of revenue, grow your brand, and even boost your Digital Advertising effort in Bunbury. You need to start pondering on Facebook in the proper way, how do you do this? Well you have to guarantee you understand a bit about what you are doing since Facebook for your commercial business is fundamentally distinct to the one you have for your own personal use. By possessing a greater knowledge and appreciation for how dynamic a website and program Facebook may be, you are going to have the capacity to use it to its maximum potential to promote your Business and brand. So I always consider a good foundation to be founded on these 6 ‘Pillars of success’. This means that you should focus on making sure that you show people that you are actually a person, not some evil corporation. That you can use conversation to grow your brand, that high quality content is key to actual interaction from your fans, that a call to action is extremely important to the posts you make, and that you need to keep checking what happens and pay attention to what is actually working for you. If you are just starting with Facebook, then I also would encourage you to start considering the following questions. Why do you want a Facebook page for your business? Keep these questions in mind throughout your journey through Facebook marketing to ensure that you have clear ideas and can set your expectations from the start. Facebook may seem like a very casual strategy to Digital Advertising, but it really has a huge affect upon the success of your business. So if you ever do approach an SEO agency, make sure it is something that they look into as well– if they don’t then they are not up-to-date with the most up to date SEO needs and you should keep looking. On that note, if you are looking for an Agency, or you hae come to a stage where you need that boost to your business, don’t hesitate to give us a call at Internet Marketing Experts Bunbury on 1300 595 013 or visit, www.internetmarketingexpertsBunbury.com.au. SEO Advertising Bunbury – What will 2016 hold for local small business? SEO Advertising in Bunbury is a complicated task, and as we get into 2016, people are in a frame of mind where they reflect back on the year that was 2015, and try and find out what life holds in store for them next. This is of course, challenging. You can never know what is around the corner, but if you determine the vital parts of the past and look for patterns you can get a better comprehension. This is especially true for SEO. I hope to try and point out to you a few of the major trends that have been emerging in 2015 throughout the Bunbury SEO industry and the globe. From this hopefully together we can try and find out where to focus our efforts, this will be particularly beneficial if you are a local Bunbury business. This is the most significant developing trend and it is going to keep improving in significance. This means that if you are an Bunbury company and you are looking for local customers, then this is wonderful. Starting with the changes from Google Pigeon, we saw an arising pattern that local Bunbury searches were in fact ranking higher than business with national company headquaters, or even spots on the other side of town. Why? Because with local searches people want to know what is near them! In 2016 this is going to grow even more considering the recent Google search quality ratings guidelines http://static.googleusercontent.com/media/www.google.com/en//insidesearch/howsearchworks/assets/searchqualityevaluatorguidelines.pdf and also taking into consideration the My Business API as well as other things Google has been up to in 2015 will likely prove that they are spending more time and weighting into local search powers. So with that in mind, there are a few technological areas that will be surfacing even more in 2016, so keep an eye out for them to help with your local search efforts. There are a few technology areas which are rapidly growing in other countries and are beginning to emerge in Australia and it won’t be very long before they gain interest in Bunbury. Society is becoming more and more used to lugging around less money and slimmer wallets. 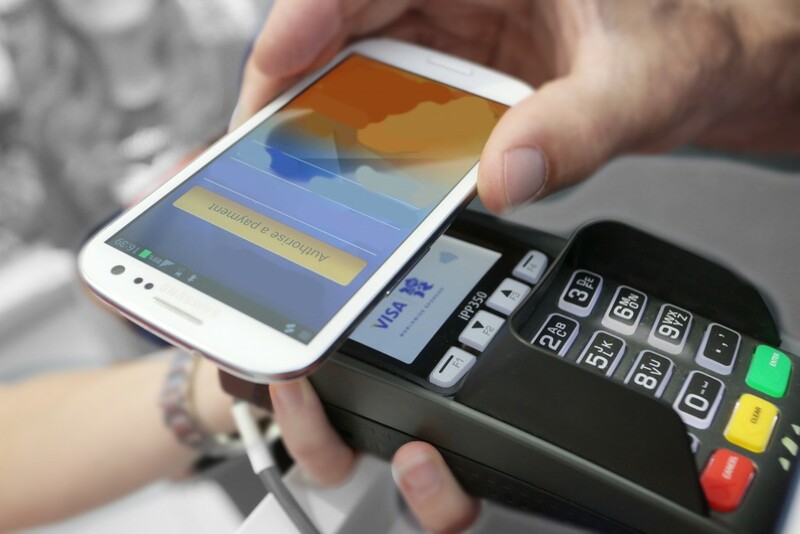 Especially with the worldwide sweep (or swipe) of PayWave or PayPass over the past few years and other swift ‘contactless’ paying technologies we are working towards mobile wallets. This will mean 2 points for a local Bunbury business. 1– you should be listening to growing patterns, and ensure you have the capacity to actually let people pay– for instance, if you are yet to buy a PayWave or RFID reader for your ship, then get one. And 2– you can start making use of the mobile nature of paying. This means advertising and marketing, coupons and other fantastic deals that you can send out to people on their phones and therefore straight into their wallets. 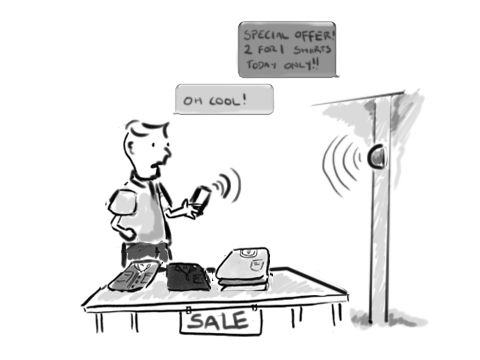 Beacons are an item that has had expanding use overseas and we are discovering them locally now too, but they are practically other ways of getting advertisings to people locally. It works through Bluetooth, and even a free Wi-Fi, and it just provides information or a discount to people who are connected or sign up to the Beacon. This means that people at your Bunbury store, or even walking past the area will be given more motivation to actually enter the store and make a purchase. It’s a smart marketing tool that will continue to grow in 2016, but I wouldn’t be surprised if technology and innovation changes this even further throughout the year. We also will see even better use of apps. such as Snapchat and Periscope for imaginative ways such as advertising. This has been seen in America with national projects run by Dunkin’ Donuts and Taco Bell making use of these apps. It is amazing how men and women can keep reinventing ways to get their company out there, and the same may possibly be done for your local business in Bunbury. Be creative and even analyze what other people have done, especially when it comes to social media– if you see a little something you like, take note of it and find a way to include a related idea into you own campaign. My closing pieces of parting suggestions– and these are things that you should do right away, today– would be to sign up to a new Social Media account. Facebook, Google +, Instagram, Pinterest. Pick one you don’t have for your company yet and start a new campaign to reach a new audience. As you reach new people, you will grow your credibility at a local Bunbury level, and also boost your authority and perhaps even become an useful resource for people. This goes to your local SEO efforts which are key in 2016. So you will most likely discover that the future actually looks efficient for Local businesses with patterns and technology pushing for even greater interaction at a ‘community’ level. This is great for Bunbury businesses, so I hope that you are as thrilled as I am. With that in mind, if you are looking for more SEO advice, or are wanting to enhance your SEO efforts, then contact Internet Marketing Experts Bunbury on 1300 595 013 or visit, www.internetmarketingexpertsBunbury.com.au. SEO Internet Marketing Bunbury can offer a world of opportunities In the world of SEO, especially when it comes to creating substance for your Bunbury business. But don’t pick all options – choose the correct ones that work for your business. To take the classic ‘kid in a candy store’ cliché, you may be ecstatic to see all of these wonderful ideas in front of you, from Images, to Videos, to Blogs– but if you gorge yourself on every little thing while only take half a bite out of the possible wonders, then not only are you going to end up sick and appearing a fool, but you won’t have really done any one task correctly. So let’s chat about the Bunbury ‘Content Candy store‘. 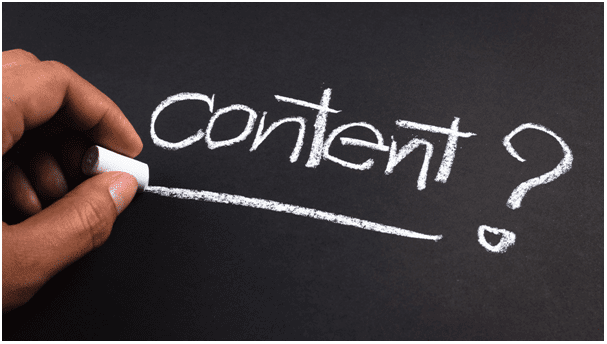 Well, content (as most of us may know) is a comprehensive and expansive term given to the aspects of your website that your clients and target market can view and interact with. This can be visual, literary, or even stretch beyond the website into day-to-day events or tasks. It’s important to choose a broad range of content that can assist you in interacting with your audience in Bunbury while still developing a balance and flow that you want your label to represent. One way to do this is by trying out different ways to find your brand’s voice. For example, if you haven’t contemplated spicing up your content with animation, possibly approach someone and get an idea of what they could do for you. Research the possibilities and don’t be afraid to keep trying several ideas until you find the strategy that is not only right for that specific situation, but right for your Bunbury business. Because as you are probably aware, content creation doesn’t have to stop at your website. The development of off-site content is an intriguing and useful way to increase your brand and add to your link profile and target market. This opens you up to a new area of growth. If you are creating great content then you ought to try and share it around, publish both on-site and off-site to maximise visibility. Make sure you keep the very best content for your own website, the content that is keyword-rich and helps to engage with the audience, but there is no harm in having some pieces on the surface bringing in more communication with your website. This off-site content is among the very best ways to build the visibility for your brand and establish a name for you that is synonymous with top quality content. But be warned, often people go too far with this, as was observed in pattern of guest blogging a few years ago. 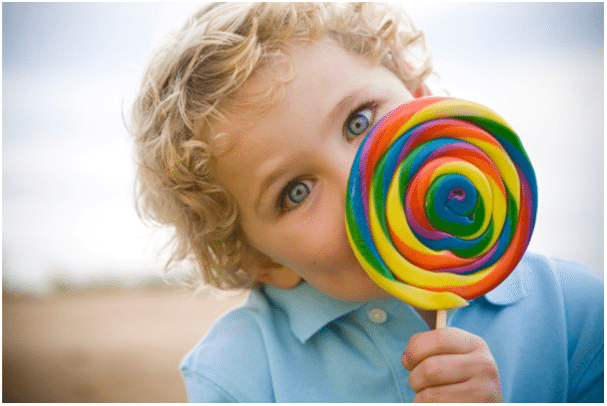 Don’t select all options, choose the right ones that work for your business– Don’t grab every little thing in the Candy Store. You need to start considering what will be really useful to you and your company then act from there, if content is going to be stretched thin or not actually help, then don’t waste your time and money on it, easy. If you have any fantastic ideas, or want to chat, simply call Internet Marketing Experts Bunbury on 1300 595 013 or visit, www.internetmarketingexpertsBunbury.com.au.